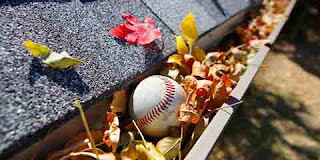 When Should You Clean Your Gutters and How Often? Cleaning gutters is a nasty chore that more often then not gets put off for days, weeks, months, and years. Forgetting or refusing to maintain your gutters properly will eventually cause a gutter clog and result in gutter system failures. If and when a gutter system fails it can cause damage to your home such as: Wood rot, landscape erosion, roof and gutter damage, pest and critter infestations, and that is just to start. Remember not to put off cleaning your gutters, and if you don't like doing it Gutter Maintenance Services makes the process simple and affordable. Here in the UK we experience the same issues with lack of maintenance of the guttering and drainage systems that support the Domestic, Commercial and Industrial sectors. Here at Maintenance Services Direct we have seen first-hand the damage that can be caused by blocked or partially filled guttering. Your advice on frequency of cleaning is perfect to help the consumer to make an informed choice on when they should initiate the cleaning process, we believe the cleaning process should be performed by an experienced and professional company that can not only provide a thorough service but provide this service in a safe and secure manner. Thanks again for the well wrote and informative article. Howdy, I do think your web site could be having web browser compatibility issues. Whenever I look at your blog in Safari, it looks fine however, when opening in IE, it's got some overlapping issues. I merely wanted to give you a quick heads up! Besides that, great website!